Move over acai. Pass on by, tahini. New global food trends are taking root in 2018. And there’s never been a more delicious or colorful time to explore your international curiosity. 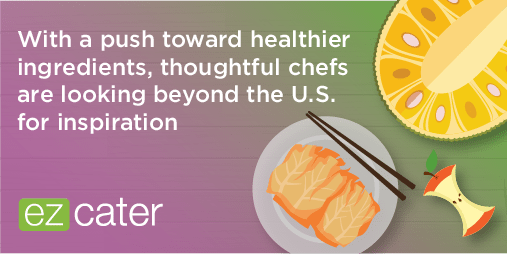 With a push toward healthier ingredients along with vegetarian, vegan, and gluten-free alternatives, thoughtful chefs are looking beyond the U.S. for inspiration. These 10 global food trends offer a bold presentation and new flavors you’ll see (and taste) in 2018 and beyond. 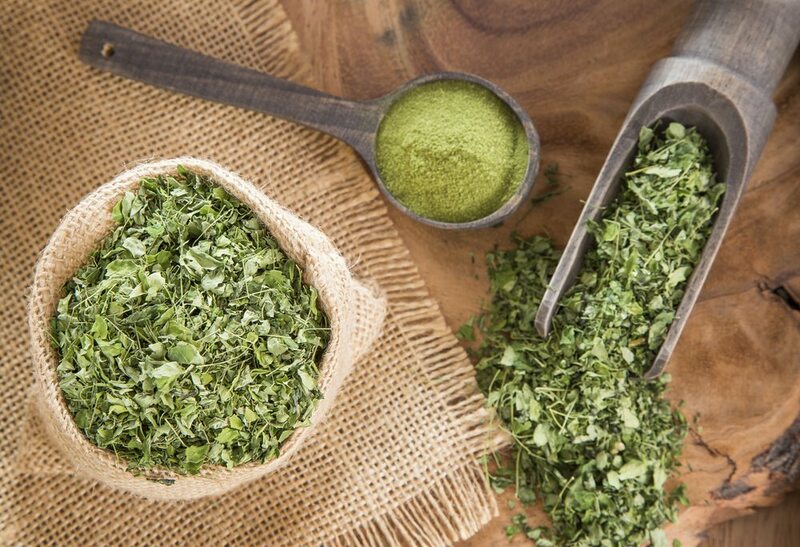 Grown and regularly consumed in Haiti and parts of Africa and Asia, moringa leaves contain high quantities of protein, vitamins A and C, iron, and calcium. In the U.S., more local farmers and chefs are growing the trees themselves, as the New York Times notes. You can increasingly find the leafy green stalks sold at the farmers market, too. You can easily saute it into sweet root vegetable dishes or steep it into smoky herbal teas. And they can be easily ground into a nutritionally powerful powder. A small amount thickens sauces and pastas. In particular, try it in a pesto for a new burst of flavor. But it’s also great in a juice or as an add-on to your oatmeal. 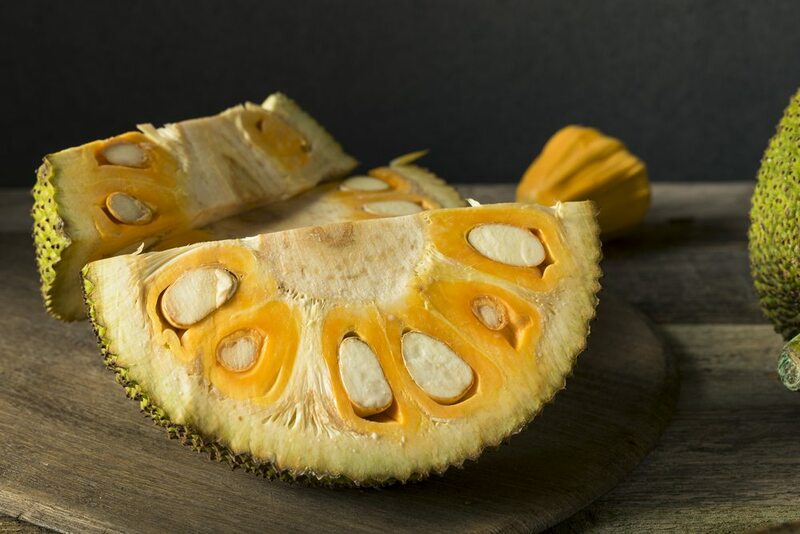 The jackfruit is packed with protein, potassium, calcium, and iron. It has both a savory and sweet utility. It’s common to in southeast Asia, where it’s actually the national fruit of Bangladesh. When under-ripe, the starchy flesh takes on a soft, stringy texture perfect as a meat replacement in vegetarian dishes, like Indian kathal biryani. When fully matured, it’s sweet like a candy. It’s perfect in a Vietnamese smoothie called sinh to mit, or in halo-halo, a Filipino dessert laying shaved ice with evaporated milk, tubers, coconut, boiled sweet beans, and sweet fruits and candies. 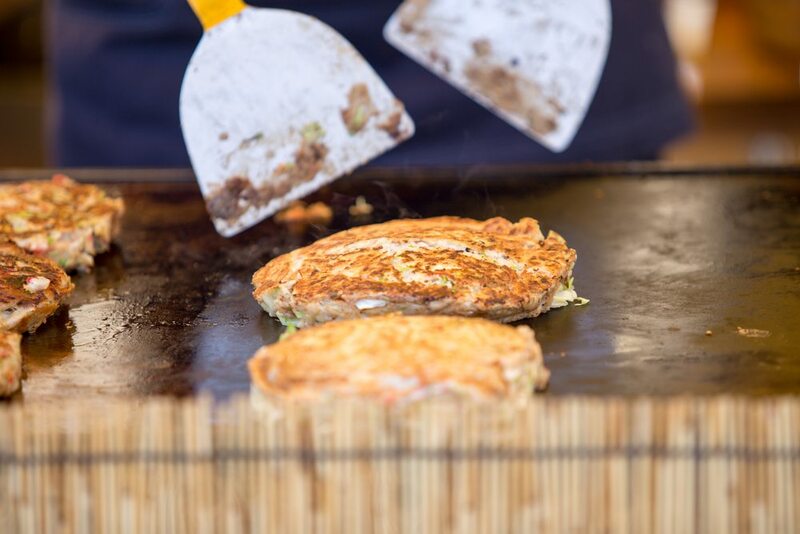 In Japanese, okonomi means: “how you want it.” And that’s fitting for okonomiyaki, the traditional savory pancakes that can be served up in a variety of different ways. Ribbons of cabbage and other vegetables blend with eggs, flour, water, and salt, and then fry very quickly in a hot pan on both sides until a crisp pancake. Mix-ins and toppings include dried and fresh shrimp, corn, fish sauce, ginger, seaweed powder, and Japanese mayonnaise. But if you don’t have a Japanese market nearby, Serious Eats’ gives license to combine American ingredients for the same effect, and to use up leftovers from your fridge. Okonomiyaki is comfort food at its best, and a global food trend you should be on the lookout for in 2018. Beloved for its digestive benefits, kimchi is a Korean staple that has been most commonly seen stateside combining shredded napa cabbage with salt, garlic, vinegar, chilies, and other spices. But as NPR notes: “Kimchi is like air in Korea.” There are so many combinations made from vegetables including daikon, carrot, and cucumber. And there are so many flavor profiles to try. Whether you like it milky, fiery, piercingly sour, or almost sweet, there’s a kimchi dish for you. 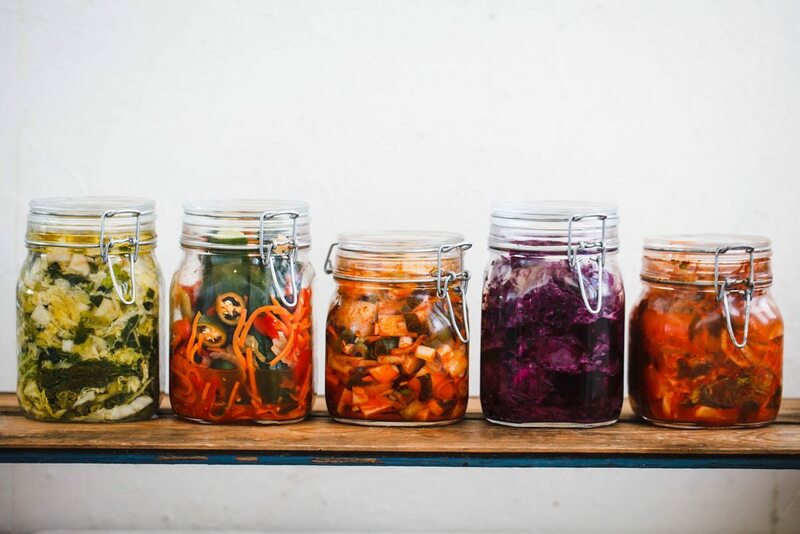 Rather than Americanize the Korean staple, chefs are utilizing the full spectrum of spicy, sour, and salty fermented vegetables to their advantage. Look out menus with kimchi in tacos, served instead of slaw with barbecue, and layered onto savory sandwiches. A general term for a group of organisms including Spirulina, blue algae grows in both salt and fresh water — so basically all over the world. It’s been consumed medicinally for centuries, most historically in Mexico and more recently in the West in diet supplements. 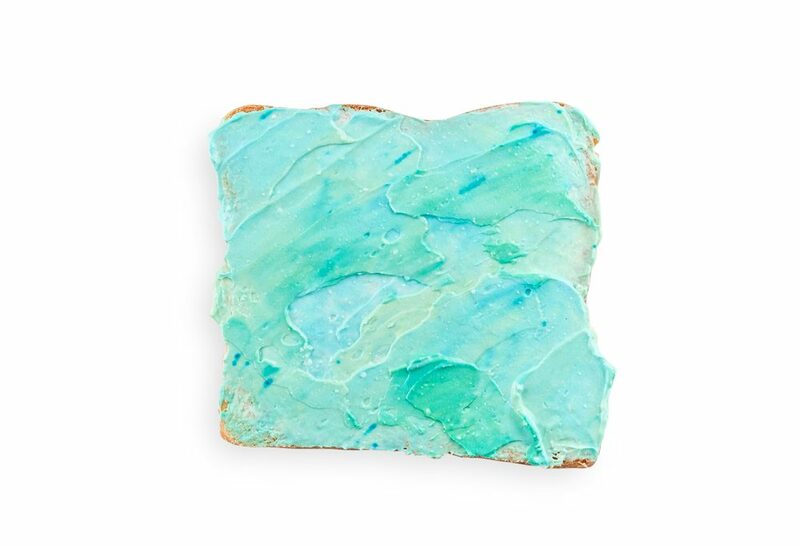 But credit Mermaid Toast and the colorful desires of Instagram users for its rise in general popularity: if you’ve ordered a Unicorn latte, a bright blue smoothie, or anything with the word Smurf in it, you’re most likely eating blue algae. 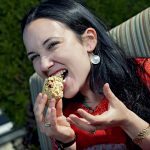 And as the Wall Street Journal notes, the use of spirulina as a food dye is projected to quintuple between 2014 and 2020, so you’ll be eating it unawares in cereal, candy, and ice cream, too. Speaking of Instagram: Eater calls black food ones of the most significant visual trends of 2017, so expect to see a shift from your Instagram feed to even more menus soon. Ayurveda and Eastern medicine practitioners in India have long used activated charcoal from coconut ash for its detoxifying powers. Now, food folk employ the flavor-neutral (food safe) stuff, too, as small quantities pack a lot of color. 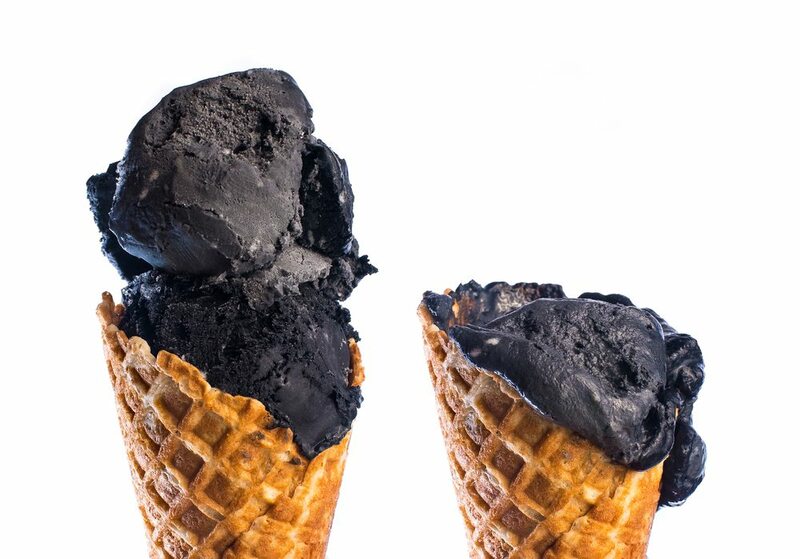 Morgenstern’s in New York and Little Damage in L.A. are just a few using charcoal to tint ice cream the color of darkest night. San Francisco’s Thai/Asian fusion restaurant Me and Tasty makes charcoal pancakes for brunch. And Miss Paradis in New York tops their activated charcoal bread with preserved garlic and eggplant for fully healthful-and-dramatic double punch. Floral and fragrant, the Ethiopian spice blend berbere has notes of coriander, allspice, cardamom, and peppercorn on top of fiery chilies. 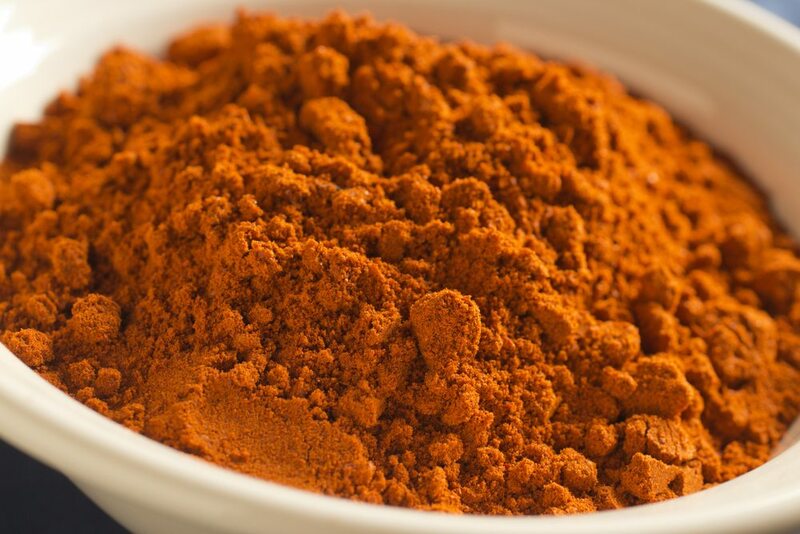 Less fiery than other chili blends, berbere imparts layers of buildable heat and flavor to traditional Ethiopian stews like doro wat and misir wat, or when used as a seasoning over ghee-rubbed injera (clarified butter over chewy teff bread). Expect to see non-African cuisines utilize the spice blend: For Tasting Table, Ethiopian-born celebrity chef Marcus Samuelsson’s suggests bereber works perfectly sprinkled on ricotta toast, offers American rack of lamb a rich dose of smoke, and compliments the bright flavors of Hawaiian tuna and even fresh fruit. Thank Thailand for this made-to-order treat. 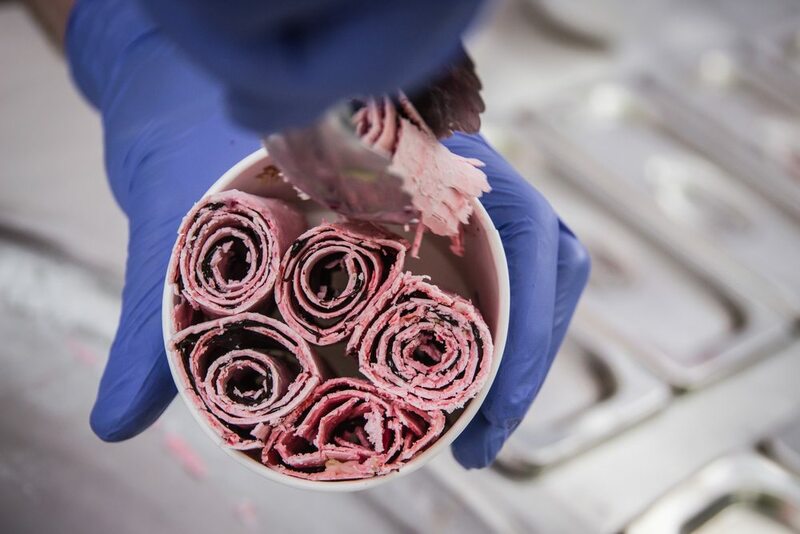 Within minutes, deft hands pour a flavored sweet milk base onto a metal plate cooled to as low as -4°F, then quickly aerate it with mixins and scraped it up into rolls. Once in a cup, toppings range from traditional whipped cream and chocolate to fancy fruits, inspiring endless creativity. A few shops like Hi B3ar in Boston, I-CE-NY (a franchise of the popular Thai original), and Legend Tasty House in Chicago have started to dot larger cities in the U.S. Food Hacks offers impatient eaters elsewhere a DIY option. The growing popularity of seaweed continues. Low in fat and high in trace minerals, Korean cheonsachae noodles are made from kelp. Chewy, almost transparent, and neutral in flavor, they’re low in calories and gluten free, too, replacing the less-nutritious rice noodles that most commonly dominate the market. 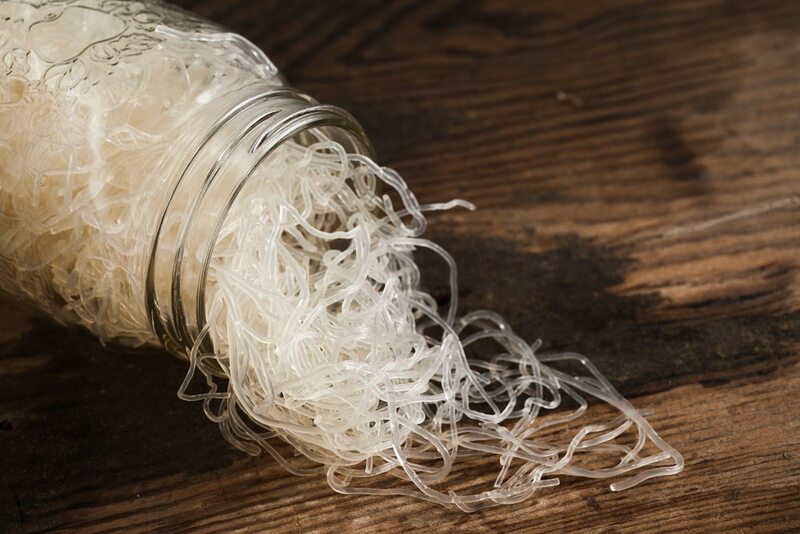 Now produced worldwide, kelp noodles are gradually becoming a go-to stock ingredient in home and restaurant kitchen for soups and other pasta dishes, as they work well in anything from ramen to carbonara. Okay, this is a decidedly American trend. But consider that there were once 17,000 varietals of apples in the U.S. and, according to the New York Times, only fifteen now dominate 90% of the market. So the return of the heritage apple — a general term for unique, locally produced varieties cultivated from seeds preserved over long periods of time — is worth noting. 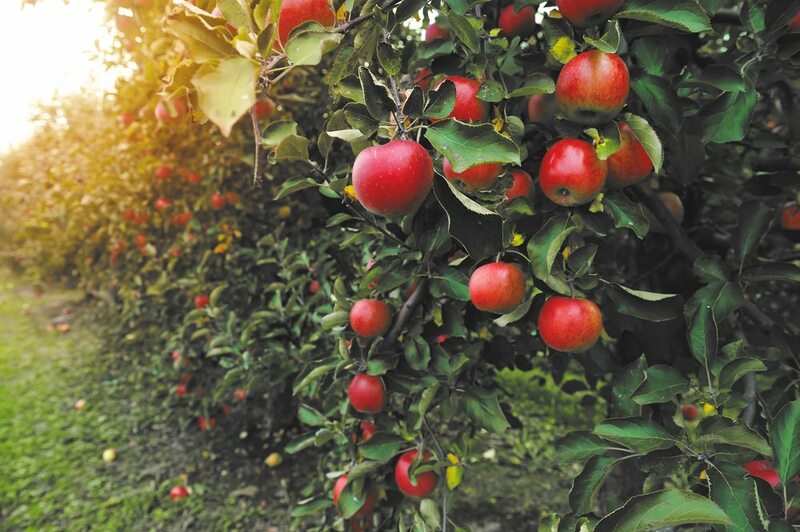 The rise in more seeds being planted into trees — and more consumers buying the apples — is the trend itself. As chefs cut back on food waste and try to limit the distance it takes to bring foods from farms to their tables, more local, unique heirloom varietals are ready every year. L.A. Times So head to the farm stand and keep an eye out, then use those Arkansas Black, Poulouse, and Starkey Delicious beauties in your Indian chutneys, Korean Kimchis, and Japanese Okonomiyaki, to take the apple trend global. Which 2018 global food trends do you most want to see on catering menus near you?